There seems to be a lot of talk about corporate culture and employee engagement. Given that this conversation has been occurring for years, why aren’t the company’s superstars at knowing what their corporate culture is and how it impacts their business? Because it is not a priority! What is a priority? The daily urgent tasks and the “fires” that burn through our time, attention, and energy, leaving none left for the things that are really important. We should first define corporate culture. Corporate culture is the values, beliefs, and behaviors that define how leadership and staff interact internally and externally. Great! Now, what does all that mean? But why am I blending employee engagement with corporate culture? It is my firm belief that if companies are Radically Intentional about creating their corporate culture, the effort and resulting environment will lead to engaged employees. In today’s tight labor market, companies must be able to attract and retain the best talent even if wages and benefits are only competitive (not above market). 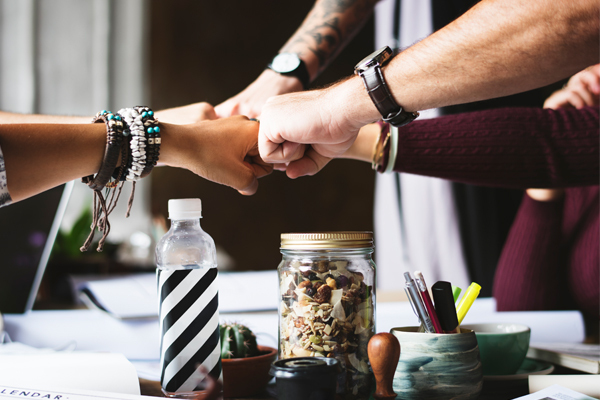 Staff will stay with a company that treats them well and where they feel their contributions are valued which is all a result of a Radically Intentional Culture and an engaged workforce. The biggest hurdle with corporate culture is that every company has one and it may not necessarily be the one they want. The first step to identify the underlying corporate culture is to interview your team and customers/clients through surveys or focus groups. Once you know what your corporate culture actually is (instead of what you think or wish it was), then you can be intentional to create the culture that is reflective of your mission and purpose. This takes time, but it is worth the effort. Many companies spend hours to craft a fancy mission and vision statement that hangs on a wall and never receives a second glance. 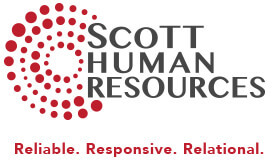 Scott HR believes it is worth the investment to identify three to five core values. The core values can be created based on the mission and vision statements, but the core values will be the guiding principles of the company and will create the culture. Once the core values are identified and defined by inviting the input of many individuals, the core values are then weaved into many aspects of the company: discussed during the interview process where potential hires are evaluated/measured against the company’s core values; the core values are competencies that are included in the evaluation process; the core values are discussed at staff meetings; weaved into the Employee Handbook as a policy; potentially added to the job description as well. The core values become a priority and a focus with all aligning their daily behaviors to support the core values. By establishing core values, the leadership can then start to have conversations with genuine and sincere care and candor that will communicate expectations so staff can be held accountable. Accountability means nothing if leadership doesn’t hold themselves to the same level of accountability. Leadership will need to be reflective of how they lead and the “communication” sent without words. Generally, actions speak louder than words. I genuinely believe if a company is Radically Intentional about using their core values as a guiding principle for everything they say and do, this will equate to a high performing and engaged staff that is a model of teamwork. Success! Ready to be Radically Intentional about company culture, leadership and employee management? Scott HR has five-part training series on Radically Intentional Management that can be customized to your business, team and goals. Ask for more information today!